The Chesapeake Bayhawks (1-0) take on the Florida Launch (0-1) this week from Boca Raton, Florida, and the Lacrosse Radio Network will have the exclusive radio broadcast live at 1pm on April 26th. InLacrosseWeTrust.com Florida Launch beat writer Joe Askerberg will be on the call and provide pre game coverage from FAU Stadium. The game will be the of seven home games from Florida that will be broadcasted this season. The Lacrosse Radio Network will also announce more MLL game broadcasts in the coming weeks. 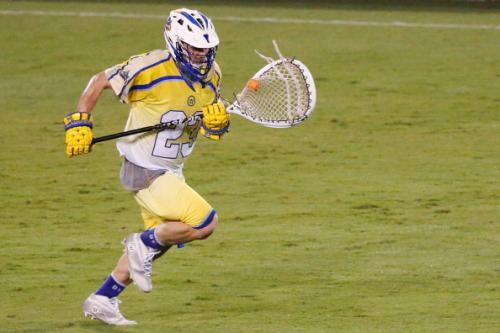 Last week in the Bayhawks’ win over the Launch Ben Rubeor scored five goals and Launch goaltender Brett Queener scored a goal and made 26 saves. Catch the action in their rematch this week on LRN. Bayhawks goaltender Tyler Fiorito also broke out with 18 saves in their win. The game will showcase 2014 MLL rookie of the year Kieran McArdle and MVP Casey Powell.